An independent flower store with a pun-tastic name and a lush garden that stretches out to show off their beautiful blooms. Award-winning garden centre and florist in the heart of London. 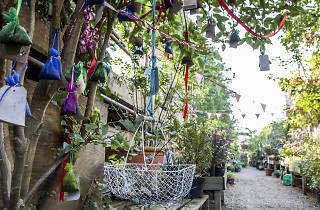 Magical space full of plants, pots and friendly people! Free garden consultations, beautiful hand-tied bouquets, local delivery seven days a week. Staff are friendly and helpful. Lovely little oasis in Battersea. Have never actually bought anything here, but a cool place. This is a very strange list of places otherwise! 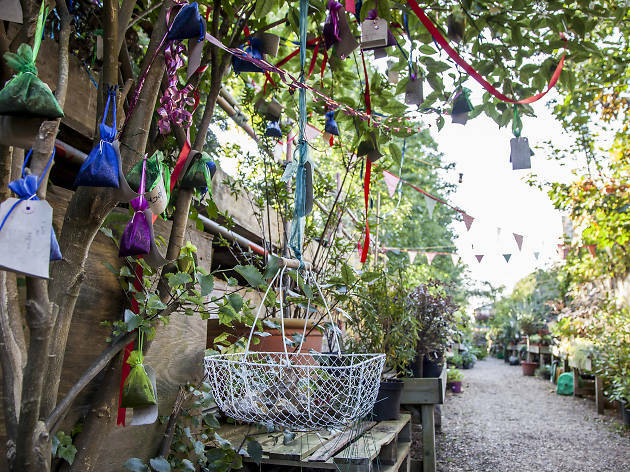 Only place to go for flowers  Quirky and wonderful secret garden! Always a delight to pass through and watch it change and grow through the seasons . . a friendly respite as well as tempting and almost never leave empty-handed ! So delighted that Battersea Flower Station is here and has lifted the neighbourhood commercially as well as aesthetically (front gardens/window boxes!) . . well done ! They put a bench by the bus stop, much appreciated by my aged legs. Dedicated, knowledgeable and passionate staff; they'll make that extra effort to help and with a cheeky smile! Beautiful little garden centre! I walk through it whenever I can! A long alleyway between a bus stop on a main road and a back street has been transformed into an avenue of colourful flowers, shrubs, and herbs, encouraging residents to enjoy plants on their balconies and terraces, and giving a real boost to the area. great advive, variety and lovely staff. Lovely oasis in the heart of Battersea. Friendly staff, great range of plants...and just a lovely place to lose yourself in for a while. Unique and charming. The owners are wonderful, friendly people. Every visit to this beautiful place is a brand new experience. Few skilled businessmen or women can come up with such a community-focused and thoughtful idea, and then see it through the way this business owner and her team has. Come rain or shine. Just knowing it's around the corner must make the whole neighbourhood feel proud. A hidden gem in the heart of Battersea. Beautiful plants, flowers and other gifts. Friendly, helpful staff. It's a haven...great staff. Great stock. Great site and such friendly staff...Received the most beautiful bouquet from here and the friend who sent it said the staff were great - really helpful, taking time to understand the occasion and create something beautiful. The term 'hidden gem' gets bandied about a lot but this truly is such a lovely, hidden away grotto. It's hugely Instagrammable but the main draw is that it's a lovely way to spend a sunny day, poking about in a narrow, secluded and verdant strip hidden off the rather unlovely strip of Battersea Park Road. Battersea Flower Station was one of the first small businesses to open up at this end of Battersea Park Road and it's encouraged lots of other little businesses to spring up nearby such as the sourdough bakery, Flour to the People (across the road) and the chicken rotisserie and deli joint, Park Road Kitchen (located handily next door). As an independent business, there is a lovely personal touch that you don't get with other places: the owners are always very friendly, chatty and knowledgable; they offer a window-box planting service (no need for those who live in cramped flats to lug bags of soil about); and they have a charming gift shop with greetings cards and gift items.